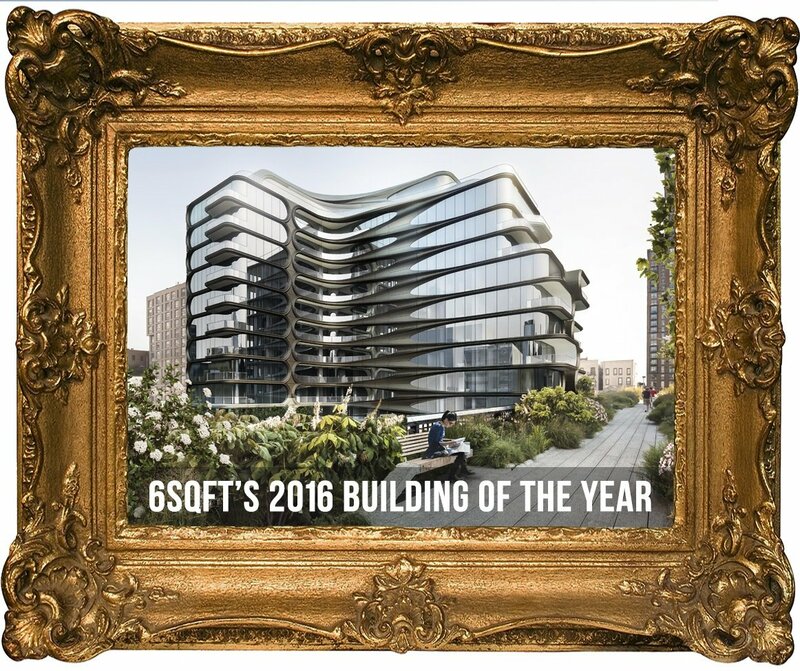 Announcing 6sqft’s 2016 Building of the Year! You came, you voted, and now it’s time to award the title of 2016 Building of the Year to none other than 520 West 28th Street! The undulating beauty along the High Line beat out 11 other game-changing buildings in a fierce two-week competition held right here on 6sqft. Out of nearly 25,000 votes cast, the Zaha Hadid-designed, Related Companies-developed structure emerged as the winner, taking away 8,382 of the count, or 33.62% of the total. Congrats to Zaha Hadid Architects and Related Companies! While things started out quiet for the 11-story residential condominium, it emerged in the last days of the competition as a frontrunner, thanks to efforts made by the design and development teams, and a big push on social media. As we previously noted, Zaha Hadid unfortunately will not see her first and only New York City project come to fruition; the acclaimed architect passed away unexpectedly in March of this year. However, her unique High Line building will ensure that her creative genius lives on in the city. Related Companies tapped the starchitect in 2012 for design, skipping over a slew of bold-faced names, including Norman Foster. 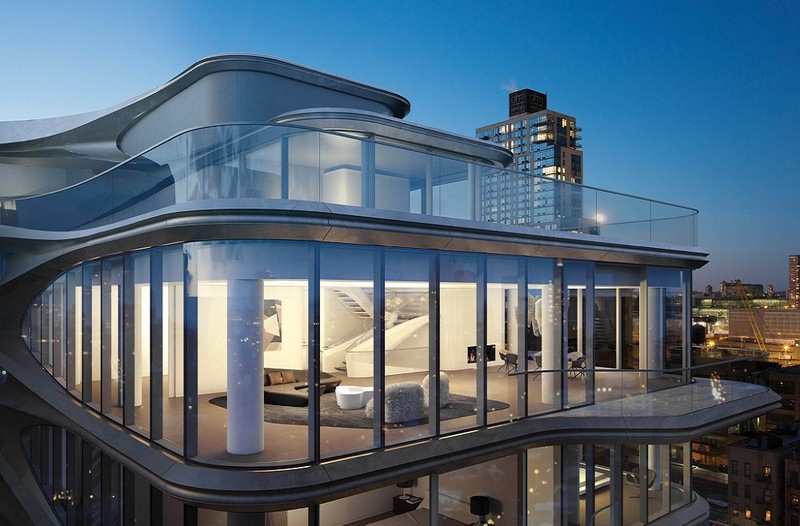 Hadid ultimately delivered a design that incorporated her signature swoops and 39 “limited edition” apartments. In May, the triplex penthouse was listed for $50 million, and by August the building’s curving glass and metal facade was being installed. Construction is expected to wrap in 2017. 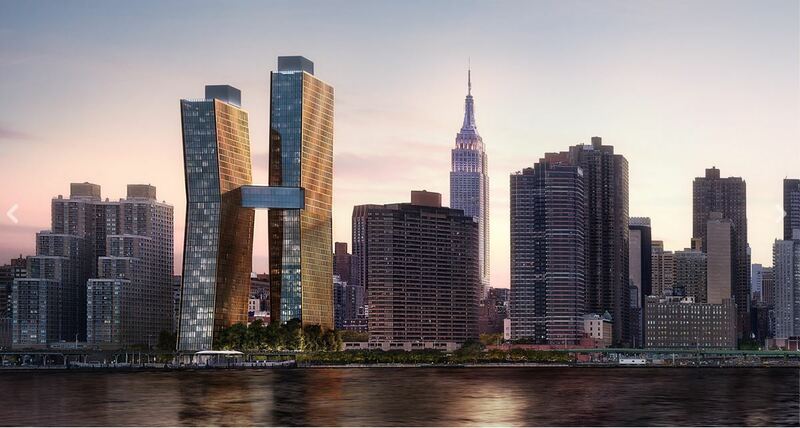 A very honorable mention goes to the SHoP Architects-designed, JDS-developed American Copper Buildings. The team pushed hard from the start to take the title and lost by only a slim margin, pulling in 7,951 votes, or 31.89% of the total—that’s just a 1.73% difference! These “dancing towers” and their creators should take a bow for their well-fought battle. Congratulations to all the teams represented. And thanks to all who voted! *Note: Final counts exclude multiple votes cast from the same device within 24 hours. Percentages are based on a total of 24,933 individual votes received.